I’ve spent almost two months ruminating on Citizen J. In many ways Citizen J should be easy to write about, the book, in which all the poems are about the central character J, is generally plot driven, and stays for the most part in the material realm (there’s a distinct absence of rhetoric and interiority). But my simple conclusions never stuck; Citizen Jis dazzlingly complex under the hood of simple formula. 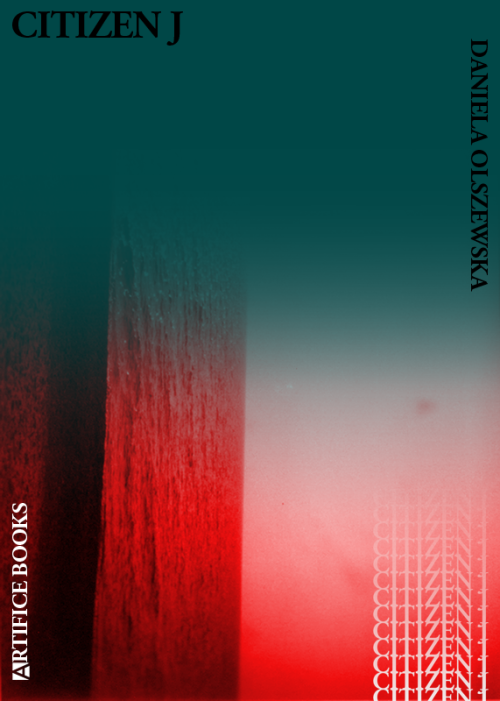 Daniela Olszewska has carved out a pleasant niche for herself and Citizen J, extremely similar to her equally wonderful chapbook True Confessions of an Escape from The Capra Facility (Spittoon Press, 2013)continues to develop the themes of identity, gender, and isolation. Her subject matter is historical and folk-ish. Many of the sections sound like tall tales, specifically Citizen J’s 12 husbands and 12 wives sections. There is a certain Tom Robbin’s quality—equal portions humor and heartfelt. 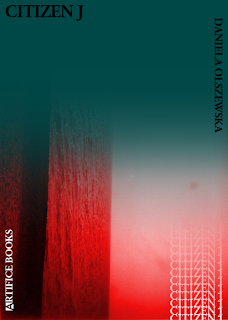 The complexity arises in how gracefully Olszewska mends plot with character and the immense amount of work she does to destabilize traditional structural elements. Similar to Joshua Young’s play in verse When The Wolves Quit (Gold Wake Press, 2012)there’s something very interesting about conveying ‘solid elements’ such as well defined characters and narrative in ‘loose’ fragmented structure. Unsurprisingly, J herself holds the book together. She is the center of each poem, but instead of a firm character what we are left with is more like a black hole. We see J through her effect on others. Her supporting cast is full of strangers, pirates, schoolgirls and the overall effect is that the character J is interesting if not magnetically attractive. Reviewer bio: Wyatt Sparks lives in Chicago. He has two ebooks out, As We All Change (Love Symbol Press, 2013) and Second Man On The Moon (Nap, 2013).